Shares in companies most likely to benefit from the move to curtail crude production soared Monday as the price differential for heavy oilsands bitumen-blend fell. Meanwhile, shares in oil producers who had been either benefiting or insulated from the discount prices stayed put or subsided. Oil production cuts announced by the Alberta government will have the desired outcome of reducing steep discounts on its oil, but it will also create winners and losers, financial analysts say. Shares in the companies most likely to benefit from the move to curtail crude production from larger producers starting Jan. 1 soared Monday as the price differential for heavy oilsands bitumen-blend fell. Meanwhile, shares in oil producers who had been either benefiting or insulated from the discount prices stayed put or subsided. "There are going to be a number of producers who will shoulder the brunt of the Alberta government's 325,000 barrels per day in mandated production curtailments of raw crude and bitumen (namely the oilsands producers), but the broader health of the province is likely to benefit over the medium term from the decision as a result of narrowing differentials and stronger royalty revenue," said a report from Calgary-based AltaCorp Capital. Alberta Premier Rachel Notley announced Sunday the province will require producers with more than 10,000 barrels per day of output to cut production by about 8.7 per cent until there is enough shipping space on pipelines to improve prices, expected to take three months. In early trading Monday, Cenovus Energy Inc. rose as much as 13 per cent over its Friday close to $11.11, while Canadian Natural Resources Ltd. rose as much as 16 per cent to $38.74. Cenovus CEO Alex Pourbaix was the first oilsands CEO to call for the province to curtail production. On Sunday, both Cenovus and Canadian Natural issued statements of support for the Alberta move, as did Chinese-owned oilsands producer CNOOC-Nexen. "Suncor believes the market is the most effective means to balance supply and demand and normalize differentials," it said. It has said it is insulated from price discounts because of its Canadian refineries and pipeline contracts. In mid-day trading, Suncor was down 1.5 per cent while fellow Calgary-based companies that both produce and refine oil, Imperial Oil Ltd. and Husky Energy Inc., were off 4.1 per cent and 0.8 per cent, respectively. The winners from the curtailments will include the provincial government (which estimates it will earn $1.1 billion more from royalties in the 2019-20 fiscal year); energy producers in B.C. and Saskatchewan, who will benefit from better prices without having to cut production; condensate producers, as that light oil isn't included in the curtailment; and junior energy producers who are exempt from the program, AltaCorp said in its report. Oilfield service companies are also on the losing side of the equation, said GMP FirstEnergy in a note, because drilling budgets will likely shrink in early 2019. 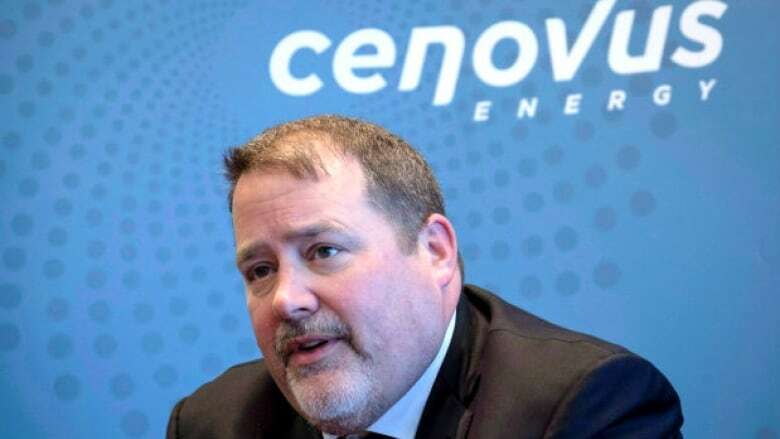 Analysts said that means the market is already halfway to the provincial goal as estimates suggest about 150,000 bpd has already been shut in, mainly by Cenovus and Canadian Natural. "Anecdotally, this will likely be a messy process with collateral damage (reservoir management, abandonments, take-or-pay overhang)," said a report from National Bank of Canada analysts. The discount between Western Canadian Select bitumen-blend oil and New York-traded West Texas Intermediate was about $21 US per barrel on Monday morning, an improvement of about $7 US per barrel from Friday, according to Net Energy. WTI was up almost $2 US per barrel. "We estimate oil prices need to average only $2.50 US per barrel higher to offset the cash flow impact of the mandated production cut," senior analyst Jennifer Rowland of Edward Jones Equity Research said in a note. The cuts will hit the larger Canadian economy, according to BMO Capital Markets, which estimates gross domestic product will drop by more than two per cent on an annualized basis in the first quarter of 2019. "The expected rebound in production later in the year should contain the full-year 2019 GDP impact and potentially lift 2020 slightly, depending on timing," it added, adjusting its national growth forecast for 2019 to 1.8 per cent from 2.0 per cent. "There are some meaningful … negatives from a growth perspective, but I guess that the price side should offset that to some extent," said Benjamin Reitzes, BMO Canadian rates and macro strategist. "We'll see how if oil prices can maintain these current levels through the course of 2019, then, if they do, I think there are some positive offset there and you should also have production coming back online through the course of the year as well, as these cuts are unwound."